I have to admit that I got a bit addicted to Sample Room, lol. If you could remember, I have said on my first Sample Room Haul post, as a member, it took me a lot of months thinking about whether to use my points or not. But, eversince I used up my points, review and earned points…I have became addicted.lol. On a span of 3 weeks, I am on my 3rd loot of free products from Sample Room. So, for my 3rd Sample Room Haul, here are what I got! Celeteque Advanced Anti-Aging Ultra Hydrating Oil came as a free of freebies. 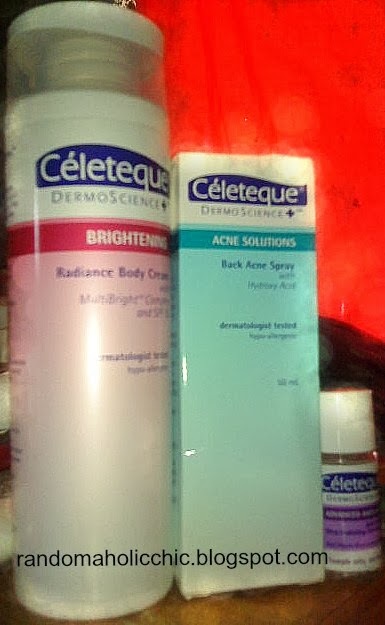 I am glad that Sample Room has opened the door for Celeteque lovers to try this awesome skin care products. This is actually the first time that I am going to try this three products. Thanks so much Sample Room and Celeteque.